Dr. Sasha Noe, a Board Certified Physician in Family Medicine and Osteopathic Manipulative Treatment, hosted her Second Annual Apollo Beach Family Medical Center Patient Thanksgiving Dinner to thank her patients and staff for their trust and continued confidence in her for the care she provides. The dinner was held at the Florida room of the Sun City Center Community Association in Sun City. Many volunteers from HOPEworldwide, a non-profit faith based organization dedicated to help meet the needs of the poor and needy, were there to serve the meal provided to the patients. Dr. Noe is the primary physician and owner of Apollo Beach Family Medical Center and a board member of the Tampa Chapter of HOPEworldwide. Her office is located at 6150 North U.S. Hwy. 41 in Apollo Beach. Call 641-0007 or visit www.apollobeachfamilymed.com. The newest Wawa location opens its doors on Thursday, January 15 at 8 a.m., followed with a ribbon cutting ceremony at 10 a.m. It is located at 9617 Hwy. 301 S. in Riverview, behind Walgreens. Visit wawa.com. The Greater Riverview Chamber of Commerce (GRCC) 2014 Business of the Year Award finalists have been announced and include the following in alphabetical order: Huth and Booth Photography; James J Pulkowsi, CPA; Pearson Capital, Inc.; Riverview Mortgage; Summerfield Crossings Golf Club; Suncoast Credit Union; The Alley at SouthShore; The Bridges Retirement Community and Waypoint Property Inspection, LLC. The finalists will be honored and winners announced at the GRCC Annual Dinner and Awards Celebration at the Regent located at 6437 Watson Rd., on Friday, January 16. To register to attend the celebration, call 234-5944 or visit business.riverviewchamber.com. Waypoint Property Inspection, LLC has been named a finalist in Bright House Networks Second Annual Regional Business Award in the Small Business category. Winning businesses will be honored at a special celebration on Sunday, February 5 at the Tampa Convention Center. Waypoint Property Inspection is a family owned and operated business based out of Riverview that offers comprehensive and specialty home inspections. Visit www.atampa homeinspector.com or call 486-8551. For more information about the Regional Business Awards, visit www.brighthouse.com/RBA. The SouthShore Chamber of Commerce is calling for artists to enter a competition for the 23rd Annual Manatee Festival of the Arts logo and T-shirt. Artists, young and old, amateur or professional, are invited to submit original designs to the Chamber no later than Sunday, January 4. The winner will receive a $100 cash prize, resultant publicity and will receive a complimentary booth space at the festival. Winner will be notified by the Chamber on or before Tuesday, January 19. Judges will select based on artistic merit. There are no guidelines for the subject matter of the image. Image must be two dimensional and an original work of art created by the artist within the last three years. Digital image reproduction must be submitted no less than 180 DPI and no less than 1200 pixels one way. Winner will be required to submit a higher resolution image for print. 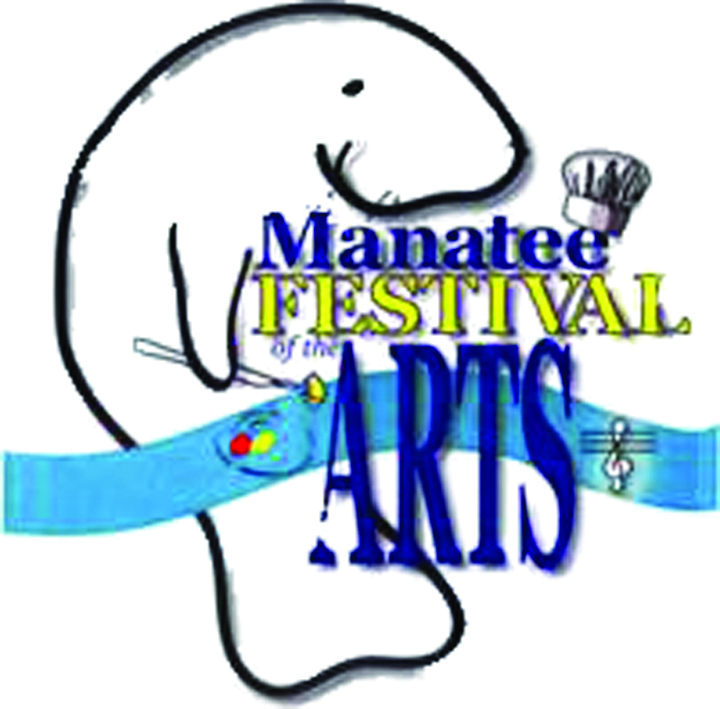 The Manatee Festival of the Arts is scheduled for Saturday, March 14 and Sunday, March 15.Call 645-1366 or 645-3808 or e-mail events@southshore chamberofcommerce.org. The National Accre ditation Committee for Early Care and Education programs recently announced that Kid’s Community College in Riverview has been awarded accreditation. As an accredited center, Kid’s Community College has been recognized as an early care and education program exemplifying excellence in the care of young children. The accreditation process included a self-study process in which administrators, staff and parents evaluated the program in accordance with the accreditation standards. Kid’s Community College has several locations within the Riverview area. E-mail info@kidscc.org, call 888-543-7221 or visit www.mykidscc.org. Beazer Homes invites the community to see its new homes at the Reserve at Pradera. The Greater Riverview Chamber of Commerce will be conducting a ribbon cutting ceremony there on Thursday, January 8 at 4:30 p.m. There will be three models to tour and beer/wine and light appetizers will be served. The new community will have a total of 358 lots in this community, most on ponds and will feature an amenity center with pool, cabana, ball field with fitness path, two and a half basketball courts. Price range of homes is $227,990 – $324,990. The ribbon cutting and tours will take place at the Model Home Center at the Reserve at Pradera located at 13411 Balm Riverview Rd. Parking will be available in the model parking lot as well as on Palmera Vista Dr. Call 234-5944 or visit www.beazer.com. Curtis Browning of Green Life Environmental, Inc. has been in the green service business since 1999. He learned the business at a young age and knew he wanted to be in the green industry. He and his last partner grew a very successful company in Orlando in 2003. In 2006 Browning came back to his hometown and went from zero to 5,000 customers in jfour years. In 2014 he decided to launch Green Life Environmental, Inc. Its apple lawn pesticide signs can be seen in neighborhoods throughout the Parrish, Apollo Beach, Riverview, Lithia and Plant City areas. Services provided include indoor pest control, lawn tree and shrub care, fertilization, insect, disease and weed control and irrigation repair. E-mail curtis@greenlifefl.com, curtissbir@gmail.com or call 763-4850. Meagan Thomas, DMD, and Tristan Hensley, DMD, are pleased to announce the opening of their new dental office, Riverview Smiles Dental. 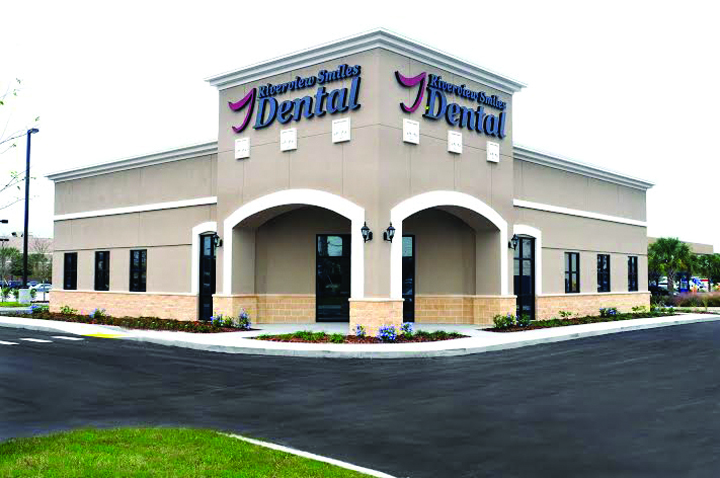 The office is fully equipped with the latest products and equipment available in the dental industry, offering Dr. Thomas, Dr. Hensley and their dental team the opportunity to provide the most up-to-date procedures and services to their patients. Dr. Thomas and Dr. Hensley both earned their Doctorates of Dental Medicine from the University of Florida College of Dentistry in Gainesville. They are members of the American Dental Association, Academy of General Dentistry and the Florida Dental Association. It is located at 10389 Big Bend Rd. Appointments can be made by calling 304-3600 or at www.riverviewsmilesdental.com. Pediatric Associates in Brandon has relocated to Winthrop Town Centre at the corner of Bloomingdale Ave. and Providence Rd. at 11260 Sullivan St. in Riverview. It is open seven days a week and accepts most insurance plans and Medicaid. Visit www.patampabay.com or call 689-7571. Join Pediatric Associates on Saturday, January 24 for a Grand Opening party from 1–3 p.m. with food, entertainment, office tours and giveaways. 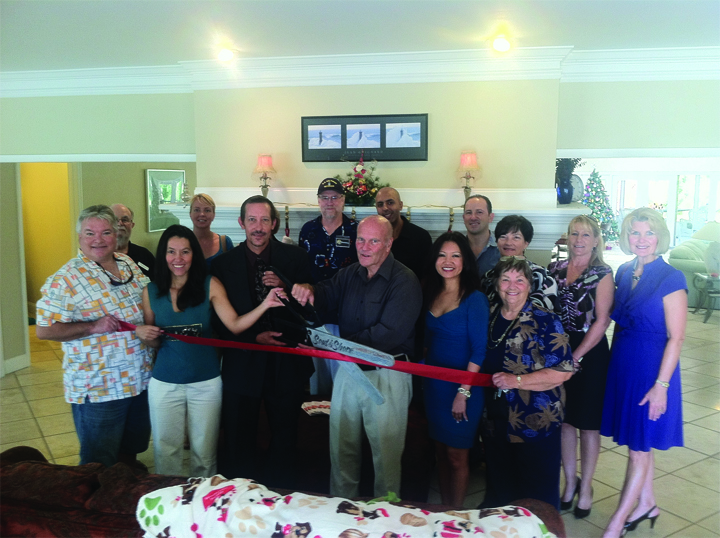 Apollo Beach Manor recently opened a 7,000 sq. ft. exclusive Independent Living Facility at 601 Flamingo Blvd. in Apollo Beach. The mission of the home is to provide a safe, caring, healthy, and active environment for residents to live, learn, grow and interact. It provides an atmosphere for residents to socialize, be creative, participate in individual and group activities and become part of a family. Apollo Beach Manor maintains a small number of residents so it can provide a better quality of life and more personalized attention to residents needs. Call 704-8421 or 802-7748 or e-mail Jhinegardner@apollobeachmanor.com. State Representative Ross Spano (R-Dover) is pleased to announce that the next meeting of the quarterly Small Business Roundtable will be held on Friday, January 30 from 9–11 a.m. at the Hillsborough Community College at the Regent in the Community Room at 6437 Watson Rd. in Riverview. In keeping with tradition, the roundtable will also welcome members of the Hillsborough County Commission and other state and locally elected officials. Call 744-6256 or e-mail gloria.perez@myfloridahouse.gov. All curious or seasoned oilers will want to attend this meeting that is designed to demystify the battle of the oils, quality, resourcing, purity, the system, effectiveness, mission and promise. Plan on attending this one day event on Thursday, January 15 at 7 p.m. at Country Inn & Suites located at 915 S. Falkenburg Rd. in Tampa. The event is sponsored by TNT Smoothies & Supplements and is $10 for YoungLiving members and free for guests. Visit facebook.com/mariamalec under the event section for more information or call Maria Malec to RSVP at 957-0865.